I hate and I love changing my training plans. I used to have a terrible habit of writing myself multiple training plans based on how I was feeling that day. Part of me will always be a 15 year old getting caught up in how I feel RIGHT NOW and SWEAR it will never change. Life is about balance though right? That means a bad run is followed by a good run, and our feelings tend to ride themselves out and then change in unpredictable ways. As much as I can get caught up in the NOW I also like to have a plan at least outlined to make me feel like everything’s under control. 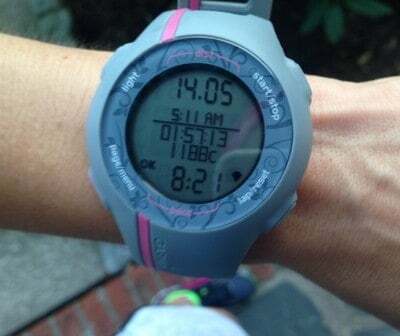 When I created and posted my marathon training plan I felt wholeheartedly committed to it and confident in it. Of course I knew myself and I predicted that halfway through I wouldn’t likely be feeling so confident. Well here I am and I was right. I’m not feeling confident at all. 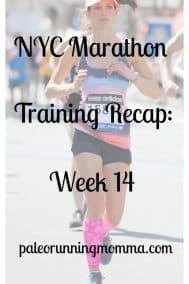 The reasons are vague: my bunion is randomly hurting but nothing significant, I had a bad race on Sunday mainly due to circumstances, and it suddenly hit me that I’m posting all my training and results on my blog/social media and it’s making me feel self-conscious. Feeling vulnerable to people’s potential judgments of me is really exposing the pressure I’m putting on myself to reach a time goal for this marathon. Getting up in the mornings to train has been tough for me, and this is pretty unusual. I did hit a point like this while training for Boston, but taking out a spin class was all I needed to do to feel motivated and back on track. A little more rest. The truth is, I think this time around it’s blogging that’s the big elephant in the middle of the room. As much as it’s great to write every day I’m beginning to realize 6 posts a week is a lot, plus the time spent on social media and commenting easily adds up too. I am 500% committed to this blog right now though, to be honest even more than I am to running, which I think explains some of my lack of motivation with training. I have been struggling with being honest with myself about how much I want this blog to “succeed” and the whole thing reminds me of how I felt about running two years ago. When my passion is directed at something, it becomes all consuming, and right now my blog has my passion. I am just coming up on 6 months since the “birth” of my blog and my daily life is unrecognizable to what it was pre-blog. I’m sure I have just about zero perspective on all of it right now, but what I do know is that I am not slowing down anytime soon. I believe in life you should take momentum and run with it, literally and figuratively. So the blog will for now remain my main focus. But oh yeah all that marathon training. I already mentioned that I’m changing up this week due to a weekend away, but looking ahead, I see I had some speed work planned that will most likely be shifted to longer marathon paced runs. I don’t have the guts for formal speed work right now and I’ve noticed that running too fast too often leads to random aches and pains of overuse. Easy running = less chance of injuring myself, and honestly I’m not sure how I would handle an injury right now. I’m playing it safe with my training since I really want to go into the marathon feeling good, or, at least not injured. Best run of the week! 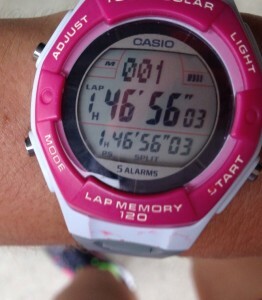 I’ve been averaging 45ish miles for the past few weeks and my training plan will peak in the low 50’s. This week (starting monday) will definitely be a “down” week in comparison which seems to be just what I need. Sustaining 45-50 + is on the higher side for me so if anything I’ll decrease mileage while keeping the long runs the same going forward depending on how I’m feeling. Enough about running and blogging stress and time pressure. Now it’s time for me to enjoy my weekend. You do the same! Do you change your training plans or stick closely to what’s written come hell or high water? Any fun weekend plans? Anyone else feel like a blogging monster sometimes? When I first started blogging I was doing it 24/7. There were ALWAYS more posts I could write, more people to connect with on social media … it was non-stop. After a year when I realized I could make this my full time job down the line I realized I needed to start treating it as such – and now do verrrry little blog work after 5 p.m. or on the weekend. With being a Mother, wife, Runner,blogger, and all other life’s responsibilities and pressures that fall on your shoulders of course you are tired. Understandably. We all are. The less we stress emotionally by thinking about it and just do each thing the less draining it is. You are a very competent person with a lot of great qualities and talents. Don’t sell yourself short by over thinking and over analyzing. I have done that to much in my life and it takes away the pleasure of each thing you are doing. Live in each precious moment. Enjoy each thing you are doing throughout the day and don’t think back or forward. All we can really control is the present moment. Enjoy the journey along life’s path. The means are much more important then the end. Wish I had discovered this earlier in life. This mindset has made life very pleasant for me and those around me. It will save you major fatigue and you will enjoy many more accomplishments. We applause you. You are an all round gifted person with many talents. Celebrate your talents instead of depleting all your energy on worrying. Enjoy your girls weekend. I think that to have a truly successful blog you do have to treat it as a full time job. Maybe it is awkward to advertise that in posts, but it is very time consumming. I am with you 100% – where there is momentum go with it! I spent my first month or two of blogging being casual, but as I ‘caught on’ I became a beast, and it definitely had an impact. This summer helped me re-prioritize and I am happy reading and commenting here and there, and writing whenever I feel like it or have time. You know what – nobody hates me because of it, and I feel great, and it has NOT impacted my running! I don’t need a blog to be a runner, and my great blogging friends are still there, and when I DO post again I am sure they will be very supportive as always. Good advice! As usual it’s the pressure I’m putting on myself that I’m feeling weigh on me, but I also think there is a shift right now from just loving running as a hobby to focusing on building a blog and hopefully, a business. I think I’m surprised how this has become so important to me! I do understand though that I need to set limits with time so it doesn’t take over my life! I don’t have a blog but I’m sure that just like anything else, it can either energize you or be a source of stress. I respect anyone that blogs though as so many of us here look forward to reading them and it uplifts us. That in itself is maybe a stress placed upon you? Not sure. As for training, I do change up my training…not so much due to how I feel but because of work. I make sure I get the long runs in though. I think it’s really important to make sure that you don’t lose the ‘fun’ of blogging – just like running shouldn’t feel like a chore, neither should blogging! As you know I have also been dealing with trying to balance blogging, training, and life lately. I think blogging lost that battle but right now I want to focus on training. I know I can fit my training in each day but blogging can become way more time consuming than I am able to handle. I also decided I wouldn’t spend the little bit of time I have at night blogging. If it doesn’t get done right before or after work then it doesn’t get done. Your post today caught my eye on Facebook, but I’m also planning to go back and read the posts I missed last week. I think its really good to reevaluate training plans midway through. It’s impossible to predict how the actual training will go! I only blog 2 times a week and I’m still thinking of cutting it down to once a week with school and running and exercise all just…everything. I’ve been wanting to expand my YouTube and that’s impossible with my schedule so I think I just might cut down on blogging for a while–don’t be afraid to too! You work really hard so don’t burn yourself out. When I started blogging, it definitely took over my life. I was also not expecting it for grow as quickly as it did. I wasn’t prepared for the administrative attention it needed. I got smart and hired someone to take care of certain aspects. I think you need to have boundaries and ensure you make time for life. I keep blogging for just a few hours on the weekends cuz I have a full time job, fitness and a life. I also think blogging 5 days a week or less is fine. Good advice! I think setting limits with it is something that needs to happen now for me if I really want to stay committed and not burn out! Diving in without a plan seemed like a good idea but now I’m really craving more structure. I gotta say, I’ve always been impressed that you write such well thought out posts six days a week. 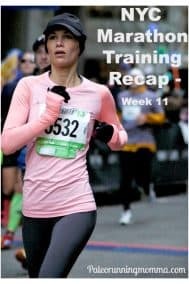 Other running blogs I read (other than Hungry Runner Girl who is a blogging machine) only post a few times a week. Thank you! I’m really, really happy to hear that you genuinely enjoy reading, and I honestly really enjoy writing! I won’t be slowing down my posts any time soon. There’s always a lot going on in my head that and the blog has been such a great outlet, plus I love that people relate to what I’m saying and getting positive feedback like yours is pretty amazing. So thanks again! I love your blog posts. I really do. But I have to ex- out of a billion things I feel like before I can even see the post! and all the ads on the sides and top are extremely eye distracting. It’s more and more difficult to actually read your posts! 🙁 I think we all need to go back to the reasons why we blog… to connect with alike people, write our feelings and daily happenings out, and less on making money. Thanks and I’m glad you’ve been enjoying the blog. Can you describe which ads are particularly distracting or popping up? I’m not sure I’m able to see my site the way you (or any reader) is seeing it. Here’s the thing with the money aspect, for me. I had literally no clue what I was doing 6 months ago when I started my blog. I had a vague sense that I would try to earn money from it but didn’t understand how that was done. Maybe I’m pretty naive but I still don’t really understand how professional bloggers make a living off of their blogs. BUT, I need to make money somehow, and while I always thought that would mean going back to social work full time, I’ve honestly changed so much in the past 5 years and I think I want to take a new path. I’m not totally sure where I’m going with blogging, but certainly I’m giving A LOT of my time to the blog, comments, emails, and at this point not making money. I genuinely do want to connect with people but I also need to figure out a way to make this sustainable. Anyway, I realize since joining an ad network my site has a lot more ads and I am still working on figuring out the right mix for my site. Thanks for your feedback, I appreciate it. Blogging is a profession as far as I am concerned. I have Been in a profession for over 28 years that requires tremendous research and heavy writing, along with being a long time graduate school professor at prominanent schools. There is nothing more rewarding then disseminating quality information and meaty content that provides positive change to people’s lives. I am very well read for years in the nutrition field and you have helped to better my health and day to day life in ways that prominent doctors failed. You are eloquent, entertaining, intellectually stimulating and quite witty and funny. Keep up the great, quality work. You have a very bright future. BTW, a lot of my friends and colleagues are enjoying your blog now also. Thank you so much! I know I’ve thanked you for your feedback before, but it has truly touched me and I appreciate you reaching out. And I am so glad you have passed along word of my blog and that people are enjoying it! Thanks Lindsay, means a lot 🙂 Lots of changes are happening around here, but I’ll be continuing my 6 days! Your blog has quickly become one of my favorites, partly because it’s paleo and partly because it’s funny and real and you write very well. I hope that you’re able to figure out a way to balance your passions. I know how that is.. right now I’m “all in” with paleo, and “all in” with my workout routine, and “all in” with wedding planning.. plus a full time job and 3 pets and whatever else. I definitely understand the feeling! Thanks! I kind of love and hate being “all in” with a lot of different things! Overall I really do love it, but it does make you feel like you’re being pulled in different directions and a bit drained. So glad you’re enjoying reading! I couldn’t agree with you MORE about the blogging monster! I go through periods when I’m 500% committed, too. Sometimes I have to put it to the side though so the pressure doesn’t make me crazy. I shift my days depending on work/sleep/personal life. Flexibility has worked for me! I think you had an awesome week!! I love your blog so much 🙂 I’ve been struggling with blogging vs. life this past month quite a bit myself, and it definitely has been difficult to prioritize. I’ve been at it a bit longer, but got serious about it approximately six months ish ago. I used to blog 7 days a week but since going down to 6 or 5, I’ve really been able to put out better quality and more thought out posts (so I think). I don’t have any of this stuff figured out yet though so I don’t have any advice, just wanted to share that I think I understand where you’re coming from. Yes! I think it is possible to find a balance, but like with anything figuring out priorities is a must in order to do that. I think my fear of dropping down from 6 to 5 is that I’ll continue to drop down, although I know that isn’t likely to happen right now. I’m considering 5 days a week so we’ll see. I don’t like the idea of posting stuff that is filler so if I really have nothing in me that day it’s probably better to skip at this point than force it.